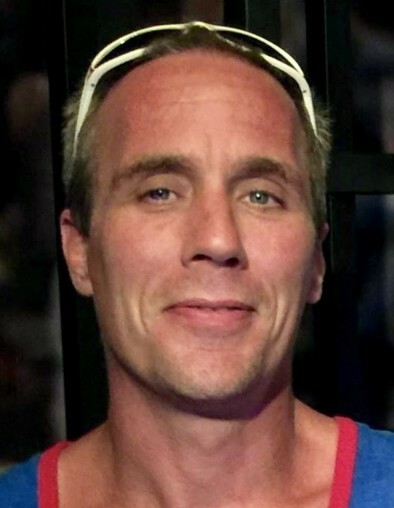 Gregory Alan Baker, 48, Kokomo, passed away at 4:08 p.m. on Friday, April 12, 2019, at Community Howard Regional Health, in Kokomo. He was born February 19, 1971, in Kokomo, to Arzie and Jane (Little) Baker. On August 15, 1992, he married Tammy R. Winters, and she survives. Greg graduated from Kokomo High School in 1991 and worked at the Chrysler Transmission Plant for seven years. His passions were spending time with his family and going Jeepin’ with his wife. He was a member of UAW Local 685. In addition to his wife, Tammy Baker, he is survived by his son, Braxton (Ariel) Baker; mother, Jane Baker; foster son, Dakota (Bethann) Donovan; grandchildren, Cooper Baker, Isabella Baker and Haedyn Donovan; sister, Tara (Scott) Bass; nephews, Logan Bass and Dylan Bass; step-father and mother-in-law, Jim and Donetta Conwell; father-in-law, Hubert Winters; sisters-in-law, Kim Young and Dee (Scott) Starnes; stepbrother-in-law, Kevin Conwell; stepsister-in-law, Michelle Conwell; nieces-in-law, Amanda (Alex) Harper and Sabrina (James) Organ; nephews-in-law, Quinton Young and Austin Starnes; five great-nephews; and three great-nieces. He was preceded in death by his father and a brother-in-law, June Young. In keeping with Greg’s wishes, no services will be held. Memorial contributions may be made to the Wounded Warrior Project or the Howard County Vietnam Veterans Organization. Stout & Son Funeral Home, Russiaville, has been entrusted with cremation arrangements. Messages of condolence may be left online at www.stoutandson.com.